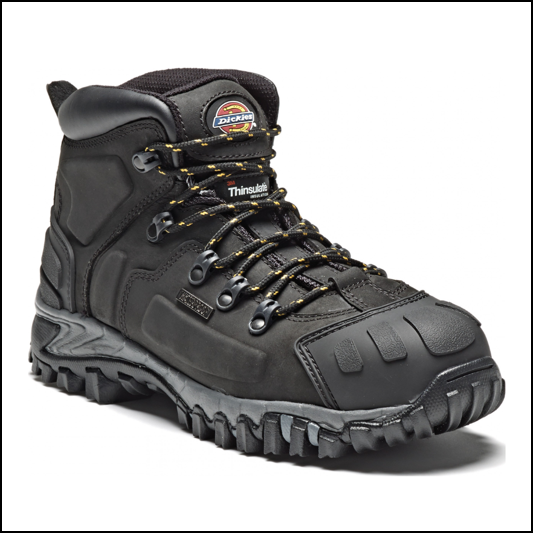 A distinctive safety boot featuring the qualities that have contributed to Dickies reputation in the field of PPE; comfort, durability and protection. 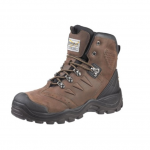 The Medway Safety Hiker is Thinsulate insulated and water resistant to S3 approved standards. The heel is energy absorbing, easing the punishment of busy feet on rough ground. 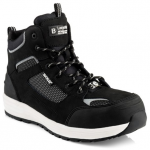 Developing a market far exceeding work usage, these boots are now proving popular for outdoor pursuits and hiking. 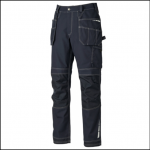 Certified to: EN ISO 20345:2011 S3 WR HRO SRA Standards. Like this Dickies Medway Safety Hiker Boot? 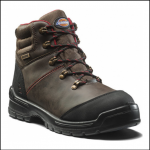 Check out our large collection of Safety Footwear fitting for any work site, hobby or outdoor activity.